Did you ever happen to think of how to increase sales? You may think of many features, but there is one, that is crucial. 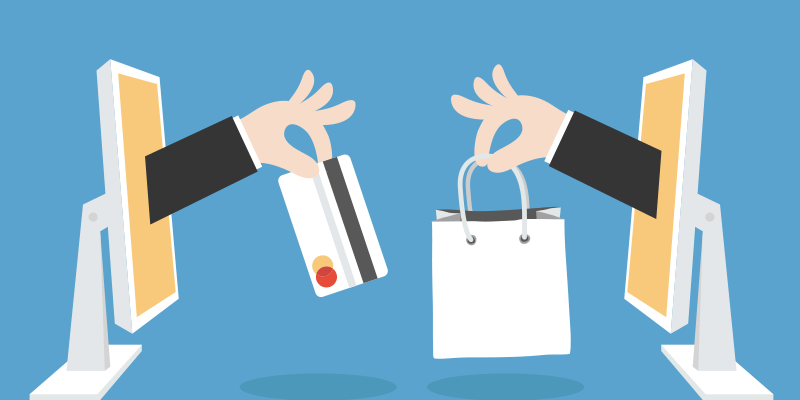 This feature can multiply sales rates, as well as it can prevent a customer from purchase, even if the product you offer is good enough. Yes, we are talking about the DESIGN! The stats analyzed, show how important the design is, and highlight once again that design and sales are directly proportional to each other. It is because of the User Experience, which either makes a user purchase something or abandon online shop forever. 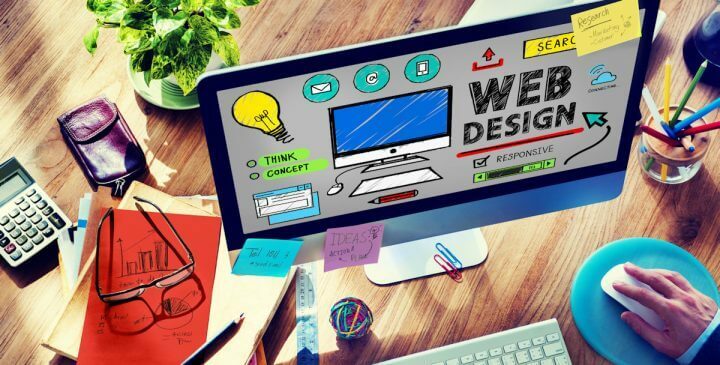 Once you realize how important the design of your web store is, let’s check on what could be the options for you. There’s always such question appearing when it comes to design. We are not against the templates. Some of them are cute and useful, however, you have to keep in mind, that you need an online shop, which is supposed to make money, it is not just a blog for fun. So what do you have to pay attention to, while choosing how to design your Magento website? First of all, keep in mind the theme of your shop. The more you follow the theme in the design, the more essential it will look to the customer. So let’s start with overviewing the disadvantages of templates? Due to a large number of animations and additional features site is overwhelmed. Typically, templates are not optimized in terms of performance, which significantly impairs the conversion. Templates are usually hard to custom, which makes it difficult to improve the design in the future. Often, customizing a template takes more time than creating a custom design. If you need a simple solution and you are not ready to spend a lot of money — template might be a good alternative. Such templates are customized and designed by the themes. The themes give the site its appearance and functionality. You can find many themes available at ThemeForest or Elegant Themes or other similar sites in order to reach the look of a site you want as well as have certain functionality. If you feel like you can do it yourself, you may want to try some constructing services as Wix or other. Significantly, the services come along with hosting, email, and e-commerce. They also have a big library of themes available. Some of the services are free of charge, and some charge a monthly fee. All in all, templates are quick and easy to use. They may cover some basic needs of your business, however, extended solutions and more complex features for e-commerce will be hard to implement. However, no template design will ever perform as well as the custom one. Custom design requires special technical skills. You won’t be able to create a custom design for your shop unless you are a decent developer yourself. Hiring a developer will cost you money, of course, however, it totally justifies all the funds invested, once you get an awesome custom design. Read further to know, how much it may cost to create a custom design. And the last thing — time. Keep in mind that a good design can’t be ready within few days. So make sure you are ready to wait until everything comes out perfectly. How long does it take? We also will answer in the paragraphs below. When it comes to Magento website design you surely would like what is the cost of design you need. Well, first of all, both time and expenses will depend on the needs you have based on your online store’s type. If you don’t know the type yet — here’s a little guide for you, so can figure out the type right now. Wholesale (refers to a type of business that buys large quantities of goods directly from manufacturers or distributors, warehouses, and resells them to other businesses. Due to high-volume purchase orders, wholesalers are typically able to buy products from manufacturers at a lower price and add their margins). Shop-catalogue (trend is intended for consumers to shop online and enjoy several discounts and some other advantages. A catalog supply website includes prices, discounts, tools, shipping options, different methods of payment, and more). the overall atmosphere of the product. That means, that your site should both look and perform well on all the devices. (PC, laptop, tablets and mobile phones). 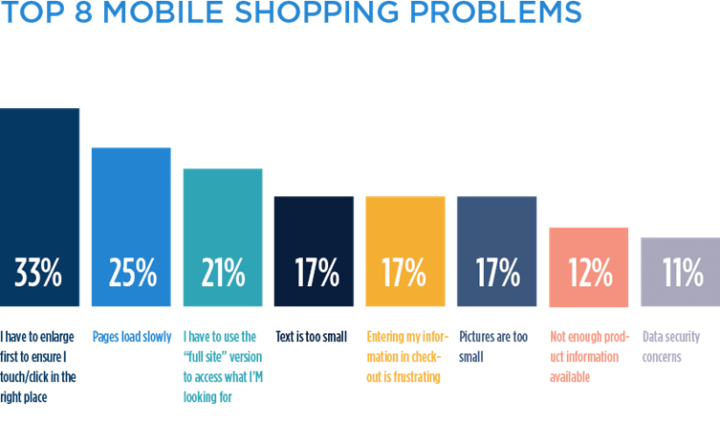 The statistics show, that more and more customers tend to go shopping online on their mobile phones. 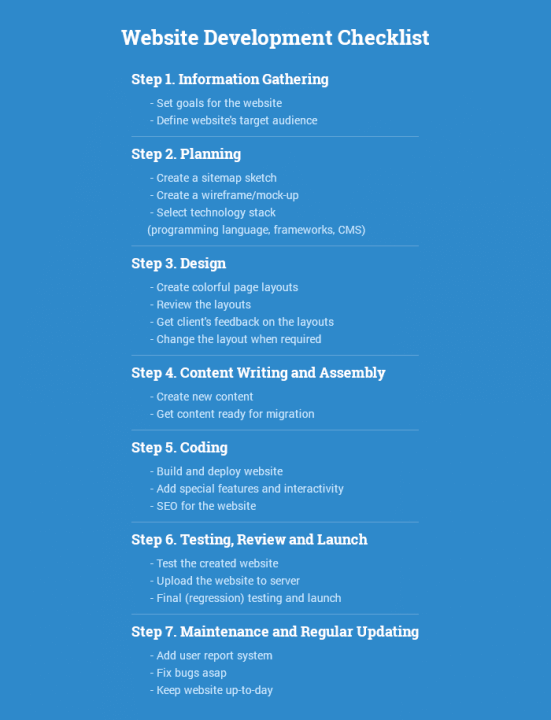 Here is a short guide through the structure of what should mockup consist of. It will help you think of many details as well as avaoid common mistakes. Content layout. How the content is going to be displayed on the page. Consider the size of each piece of content, so everything looks harmonically and doesn’t overwhelm. Contrast. Make sure there’s enough contrast, so there’s enough legibility of the text against the background. Use color contrast to highlight the most important information on the page. Colors. You can create a different atmosphere and mood by the colors you use at your site. You may find many useful bits of advice in this free guide Web UI Design for the Human Eye. Typography. May seem not as important as colors but never underestimate the fonts. It is an essential part of responsive design. Draw attention to the typography size, font, style, and spacing, so the overall picture looks good. Spacing. Leave your visitor some free space to relax for a moment, enjoy what he saw, let him have private space on your site. Free space is not an empty space, that needs to be filled like it was back in the days. Now it is a powerful design tool. Remember, that the more negative space is around an element, the more attention is paid to it. Navigation Visuals. All the info is structured, so the information architecture is outlined. The last step you need to approve its final appearance. At this stage what is happening — is that the developer is transmitting the mockup (usually .psd) to the site. It is an important stage, at which the visual image turns into a functional site. 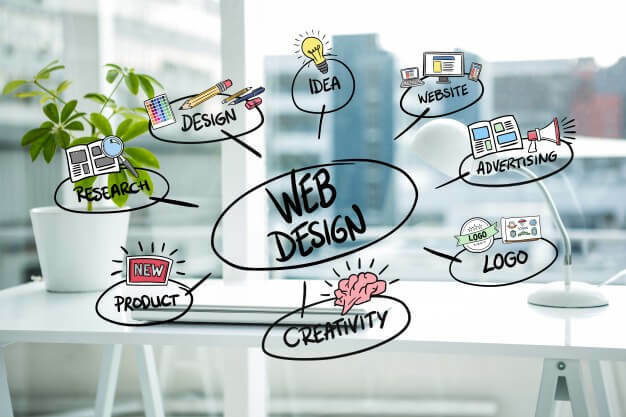 The developer should combine both design and development in order to come up with picture-perfect reproduction of the mockup given, which will be operating smoothly. The logic of the functions of your online business should also be designed and implemented. Most of the times, first to be created is a home page. Afterward, all the sub-pages are added, according to the hierarchy of the website that was previously created. Frameworks and CMS are also implemented to make sure that server can handle the installation and set-up avoiding issues. At this stage, all the adoption is done. It means, that Magento website designers do everything to make the visual image of your site operate on Magento properly. Adoption is the most time-consuming stage, as well as one of the most important. 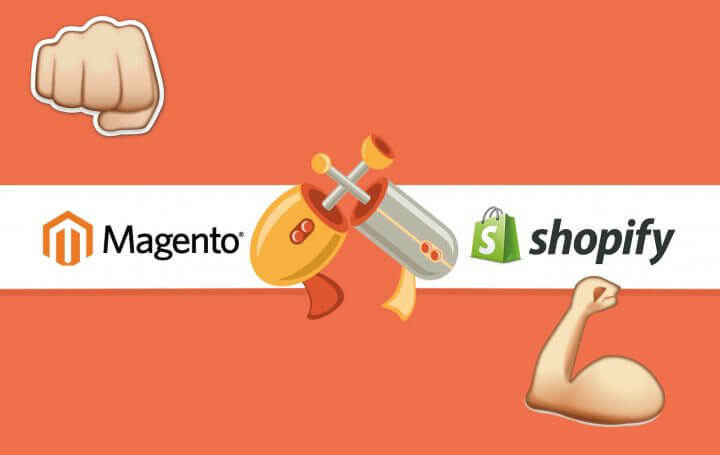 Then, all the special features are added in Magento. It is crucial for the developer to have a clear understanding of the website’s logic, so everything turns out to operate well. Plugins and extensions are also added at this stage, as well as some custom modules if needed. Another important thing you have to know — the valid code is pretty important for SEO. So the better everything is done, the more chances you have to be highly ranked by Google. Unfortunately, it’s still not the end. Good thing, you are at the finish line, however, there’s still some work left as well as some additional expenses, you might not have thought before. So, you’ll need a backend developer on your project to cover the backend tasks on your site. Usually, it takes 40+ hours. His cost you can calculate by the formula above. The project may take longer and even turn out to be not what you supposed to be if there’s no project manager. Don’t underestimate his value on the project, since he is that person, that takes away all the obstacles from the devs way, as well as takes care of keeping to the estimates and follows deadlines. He will be on the team the whole time, however, he usually gets paid not by hourly rate, but by the fixed price (% from the project cost). Also, the total cost will also include expenses for extensions and custom solutions required. The content creation (photo shooting, retouching) will also need some extra budget. If you would like to use some extraordinary fonts you will need to pay for downloading them too. 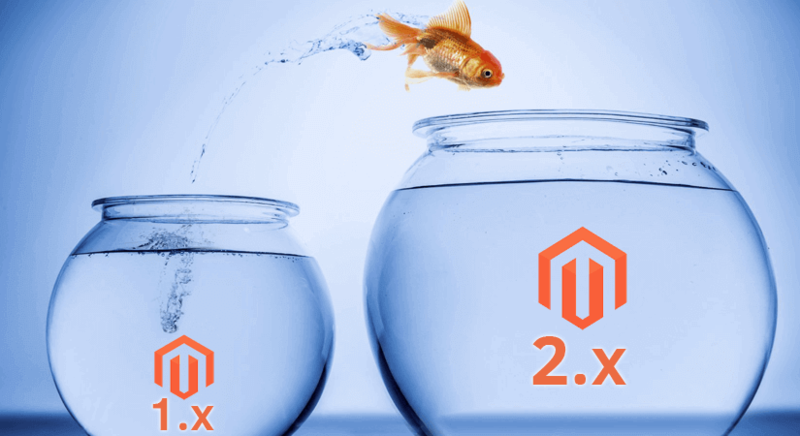 All in all, custom design for Magento 2 website usually takes 3-4 month, depending on the amount of work, quantity of pages, need of extra customization. The development company, that is going to provide you with the solution you need may not always include to the cost of the project such things as E-mail templates: transactional emails, order emails etc. 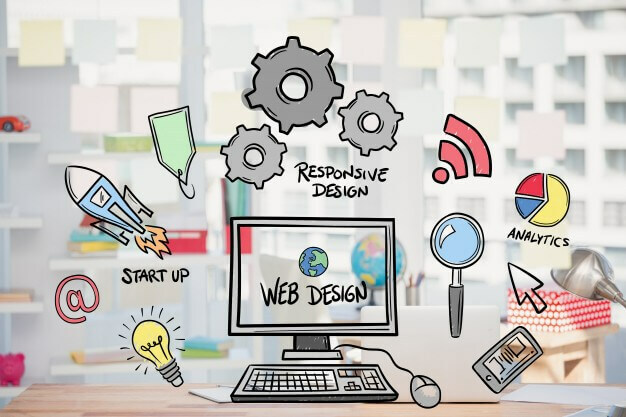 We have a lot of tips more to share, so make sure you check out our next blog posts and see them all and figure out about how to make your website better!